As a way of coping with the extreme weather conditions, your skin may thicken with a buildup of old dead, pigmented skin cells to create its own protective barrier. As a result, your skin may look dull and rough this time of year. 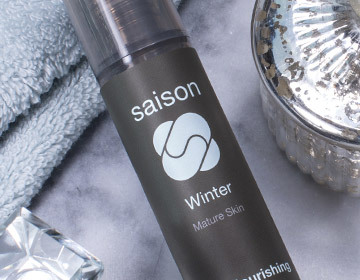 Saison recommends exfoliating skin regularly – approximately 3-5 times a week – to help remove dead skin cells and bring new skin cells to the surface. This will not only make your skin look fresh and bright, but more importantly, this will allow your treatments to sink into your skin more efficiently. However, avoid chemical exfoliates (e.g. glycolic acid, synthetic alpha hydroxy acid), which can irritate your skin, especially when it is dry and exposed to cold air. Look for exfoliants from more natural sources including milk (lactic acid) or fruit-based enzymes. 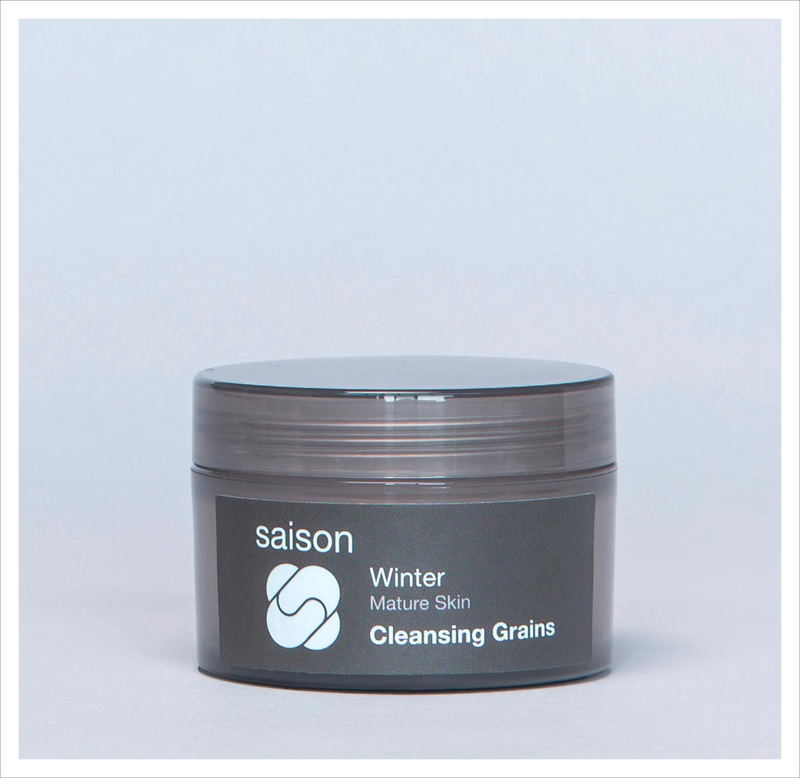 The Saison Cleansing Grains are the ultimate multi-tasking product. 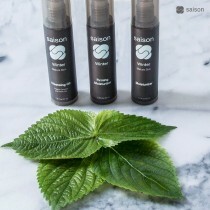 First, we recommend that you use this product, after you use the Saison Cleansing Oil. These products are meant to work together to effectively remove make up, cleanse the skin, draw out impurities, remove dead skin cells and soften skin. Because the Cleansing Grains contain natural clay, it helps absorb any trace oils on your skin and helps lift any impurities from your pores. 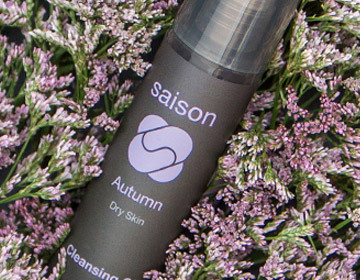 Next, the Cleansing Grains feature real fruit from each season, which provide natural enzymes to gently dissolve dead skin and brighten your skin. For Winter, we feature organic pineapple and organic pomegranate. 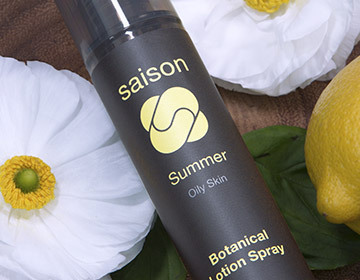 Finally, the dry organic milk, honey and rice all work together to soften your skin. To use the Cleansing Grains, we recommend that you moisten your hand first and then add 2-4 scoops of the Cleansing Grains to the palm of your hand. Add a few more drops of water to create a paste (make it as thin or thick as you’d like). Lightly massage the paste across your face. How Are Cleansing Grains Different From Cleansing Powders? Many cleansing powders use a rice or cornstarch base, paired with some type of agent that will make the formula foam up like a traditional face cleanser. The rice-based cleansing powers are good for skin softening, while cornstarch based cleansing powders may be better at absorbing excess oil on the skin. 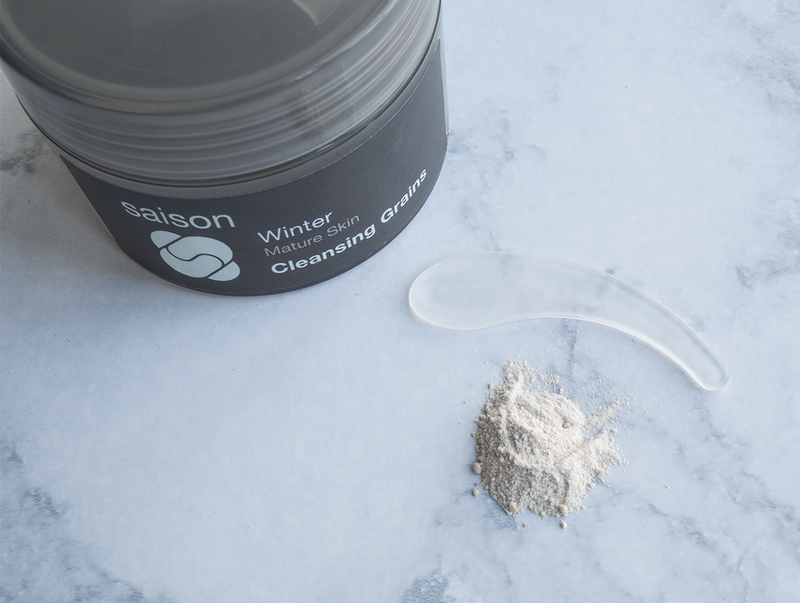 The Saison Cleansing Grains are similar in that they use organic rice powder to help soften your skin, however it also uses many other natural ingredients to deep cleanse your skin, gently remove dead skin cells, and brighten the overall appearance of your skin. 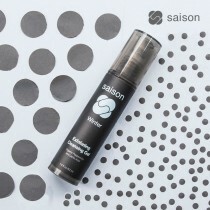 You will enjoy many more skin benefits with the Saison Cleansing Grains than most cleansing powders.